Test board production for the local technical college. Lytec designed, supplied & erected a New LED Triple Head 8m Lighting Column at Ardagh Glass Knottingley for thier new entrance. Supply & Install 17 Fixed Tubular Steel & 3 Raise n Lower Octagonal Steel Columns ready for iDNO supplies. Supply & Erection of 27 x 8m Raise n Lower Columns c/w Floodlights & Road Lights. The columns are cabled from a Large Galvanised Feeder Pillar with Remote Pushbutton Controls for individual Areas. We have been awarded the contract to Supply & Erect the Car Park Lighting at the New Netto in Thurnscoe near Barnsley. This consists of Twin & Single LED Lighting Columns with associated Street Lighting Cut Outs and SWA Cabling back to the Store. We also Supply & Install the Duct Grade Control Cabling for the Interceptor. We Designed, Erected & Cabled LED Lighting Columns for a Plant Yard in Ripley Derbyshire. The original design brief called for Twin Floodlights on 8m Columns however Lytec designed the project using high efficiency LED Light Fittings on 6m Columns reducing the Client's Budget and easing the future Maintenance down from a 8m to a 6m height. Lytec advised the Main Contractor well in advance of the foundation required and also duct requirements. This avoids the risk of expensive mistakes by groundworkers in the absence of this information. We have just completed the Design, Install & Replacement of some Old Street & Footpath Lighting Columns at the rear of a Social Landlords Complex on Pryme Road Scunthorpe. A night time lighting survey was carried out free of charge and then the dark areas were noted. Lytec submitted a Lighting Design & Quotation for the Works. It included disconnection and removal of the old rotten Lighting Columns and replacement with new 5 meter high LED Lighting on Raise and Lower Columns with associated trenching, ducts and earthworks. A NIC EIC Electrical Certificate was produced with the new light meter readings to verify the design. This complex houses the more senior occupiers and they are very happy with the improved lighting levels with associated uniformity ( even spread of light ). We will post some photos shortly. We are experts in Identifying any issues with your Lighting Columns & Lighting Fittings. Lytec has individual technical staff with over 33 Years of experience. We are the company to give you the in depth advice regarding your Exterior Lighting needs. We offer to test & inspect your Lighting and provide recommendations to assist you in carry out your Health & Safety obligations. We also carry out Night Time illumination checks advising on light levels. We offer a service to review and check Unmetered MPAN Inventory ensuring you are not paying for more energy than you should. We carry out many Lighting Projects for a number of Social Landlords. We submit Free of Charge Designs & Budgets to allow them to financially cater for these essential improvements. We then can provide planning information to the Architects to assist in the Planning Approval process. 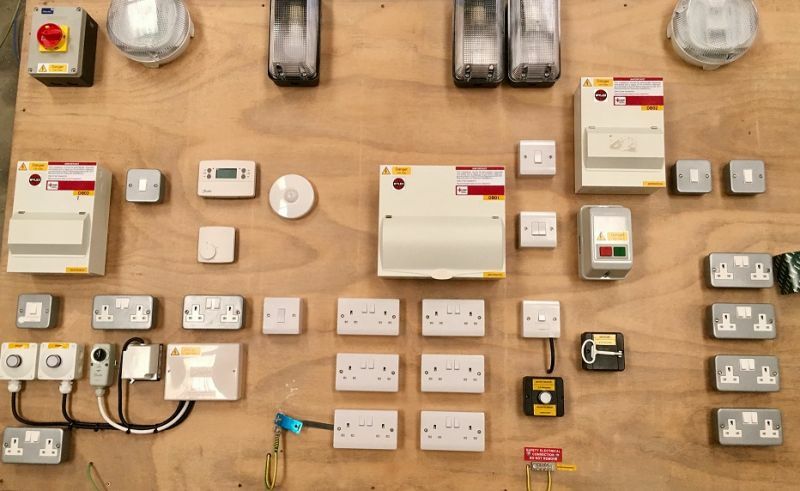 We then provide Quotations to the various Main Contractors or Direct to the Client to Supply & Erect the Lighting coordinating and communicating the scheme through all levels of the Contract Administration. Our strength is that we can bridge the gap between the simple St Lighting Column and also sometimes the unknown private network cabling that has been installed from Meter Boxes up walls, through roof voids and to Wall & Ceiling Mounted Light Fittings. The client wanted to reduce energy costs and remove the old lighting units to give the Car Park improved lighting levels for security. Lytec installed the latest and aesthetically pleasing LED Luminaires to suit the site. The existing installation was checked to ensure the proposed LED Lighting Fittings could be mounted on the existing Lighting Columns. We included for suitable spigot adaptors to accommodate the NEW LED Heads. Without these the New LED Heads would not fit. We designed the scheme and submitted to the client a number of proposals offering different style of LED Light Fittings from different Manufacturers with differing budgets. This allowed the Project Manager to liaise with interested parties and come to a decision which scheme they wanted to install. We was approached by a Main Contractor who wanted to purchase the LED Heads and Columns direct and for Lytec to erect these and advise on critical issues such as compatibility before the Main Contractor ordered the major materials. We reviewed the materials found some anomalies and corrected the Main Contractors order. We also assisted the Main Contractors QS team to achieve their budgetary constrants. We designed, supplied & installed the cable network and installed the Free Issue LED Heads & Columns. This was done Out of Hours to avoid disruption to the Retail Outlets. We provided & installed essential items such and 2 & 3 Way Fused Cut Outs with associated underground joints and sundry items. We supply and install Adoptable Road Lighting for numerous developers. Lytec stocks Lighting Columns so we can attend to sites fast erecting the Columns in time for your purchases to be lit up when they move in. 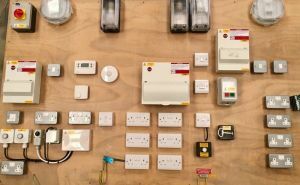 We can assist on getting you an Unmetered Connection Agreement allowing you to obtain the necessary quotations form the Electricity Companies who provide the Unmetered Electrical Service Connection. We supplied & erected the LED Car Park Lighting with associated SWA Cabling for a Local Main Contractor. We also carried out the cabling to the Surface & Foul Water Pumps. Control Cabling was installed for the Interceptor. We assisted the Main Contractor with his on site coordination between contractors. Lytec installed the Electrical Supplies to the various Pump Panels. We carry out term maintenance contracts for clients responding immediately to breakdowns. When we repair we take before and after photographs to ensure our clients get the response they need giving them peace of mind that the job is complete. Lytec complies with our clients deadlines ensuring targets are met regarding delivery of service. We operate our own Access Platform with fully stocked spares for immediate repairs to be carried out. We assisted in the planning process and secured the contract to Supply & Erect High Output LED Floodlighting to a Large Stock Field for Caravans. It was critical the overspill lighting was controlled. Positioning of the Columns was also important due to the presence of the High Voltage Overhead Lines. Lytec designed, erected & install High Output LED Floodlighting Columns with associated Control Feeder Pillar and Distribution Cabling. We modified the existing lighting installation in the Loading Area with LED Floodlights. Cleatham Road, Kirton Lindsey, Gainsborough Lincolnshire, DN21 4JR. assume that you are happy to receive all cookies on our website.